The Weedy Scorpionfish (Rhinopias frondosa) is a beautiful and pricey aquarium fish. Their track record in aquairums is spotty at best. They require a varied diet and in a lot of cases, will only accept live foods. They can get pretty large to about 9 inches. Since they are ambush predators they do not need a lot of swimming space but instead places to hide or utilize their camouflage. The colors vary significantly with this species with purple being the most sought after. If you decide to get one of these beauties you should plan on having a large supply of suitable live foods available. 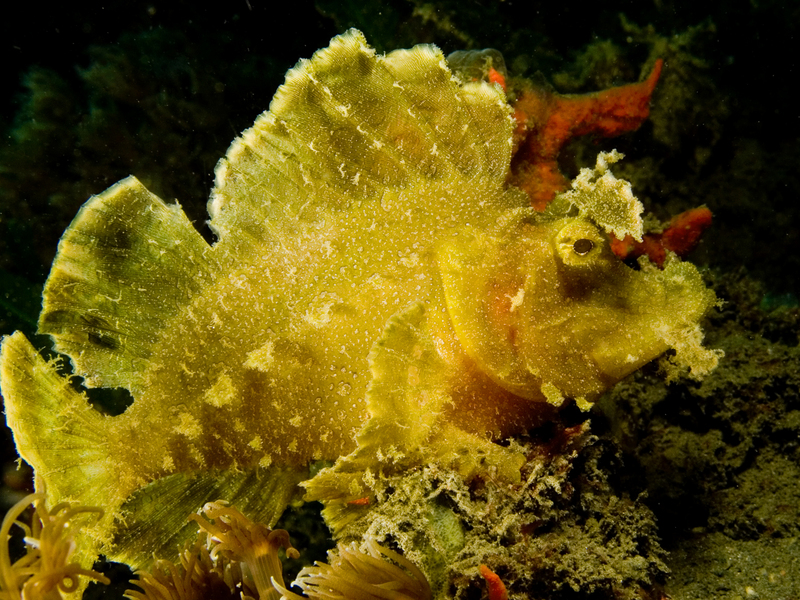 This fish is venomous like many scorpionfish so be careful!